Vintage Garden metal tin signs There are 2 products. 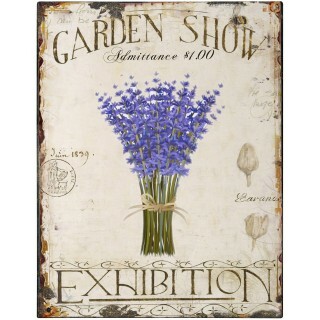 In our Retro Metal Signs Shop we stock collection of Vintage Garden metal tin signs. Our collection of vintage Garden Shop decorative metal signs is manufactured from top quality aluminum that ensures years-long durability and great look in any place in your Garden ,home ,office .Looking for a decoration or an individualized gift? We stock hundreds of different nostalgic and modern themes. Treat yourself or your friends with a decorative reminder of the good old times and get a real eye-catcher for your home. Garden Show Exhibition metal sign This uniquely designed vintage Garden Show Exhibition metal sign is manufactured from top quality metal which guarantees long time durability and classic look. Manufactured with intentional scratches and having rusted edges this retro metal tin sign is an excellent addition to any pub,bar, restaurant or man cave. 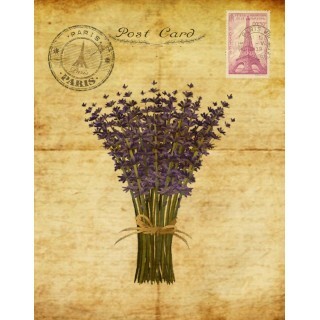 Garden Lavender Post Card metal sign This uniquely designed vintage Garden Lavender Post Card metal sign is manufactured from top quality metal which guarantees long time durability and classic look. Manufactured with intentional scratches and having rusted edges this retro metal tin sign is an excellent addition to any pub,bar, restaurant or man cave.